Moulasi, a mother-of-eight living in South Kivu, in eastern Democratic Republic of Congo, is tired. She has walked for two days to reach the Doctors Without Borders/Médecins Sans Frontières (MSF) hospital in Lulingu, trekking for 40 kilometers from her village, Byangama, after hearing the MSF facility offered free healthcare. A walk of this length would be arduous for anyone, but even more so for Moulasi: she is also eight months pregnant. Her story is not an unusual one. In South Kivu, as in most of the vast Democratic Republic of Congo, paved roads are rare and health facilities are few and far between. For many people living outside cities and urban areas, it is normal to have to walk dozens of kilometers for access to even the most basic medical care. For MSF, meanwhile, transporting staff and supplies and referring patients is a challenge – the most feasible methods of transport are by motorbike or on foot. 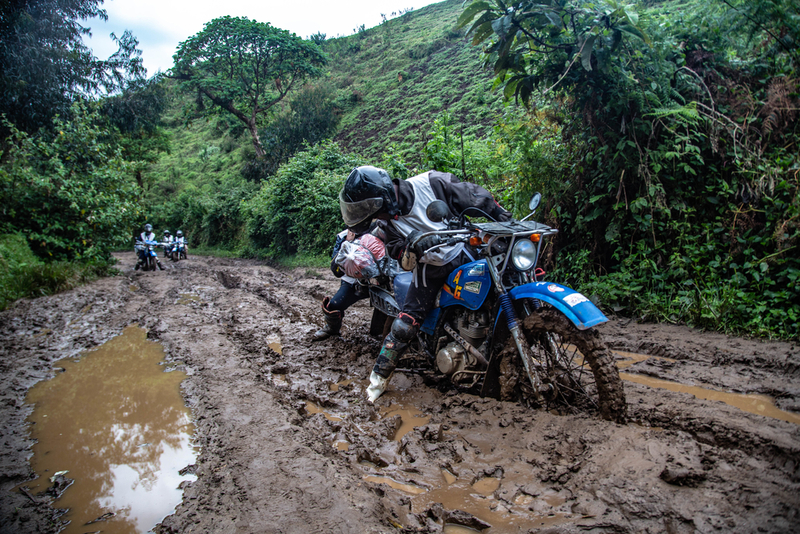 These challenges only grow during the rainy season, when trails that can normally be traversed by motorbike become rivers of mud, sometimes doubling the length of journeys that were already measured in days rather than hours. 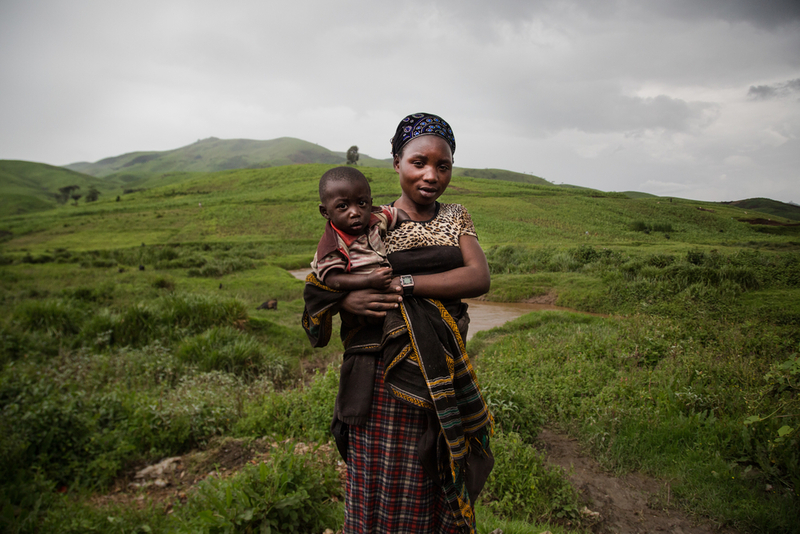 Moulasi, 8 months pregnant, had to walk for couple of days to reach the Lulingu hospital. The lack of infrastructure across South Kivu is not merely an inconvenience, it can also have life-threatening consequences for patients like Moulasi. She suffered from complications during her previous pregnancies, and her doctor was adamant that this time she must give birth in a hospital. But she is among the group of people – pregnant women and children – who are least able to make the arduous journey and are therefore most at risk. 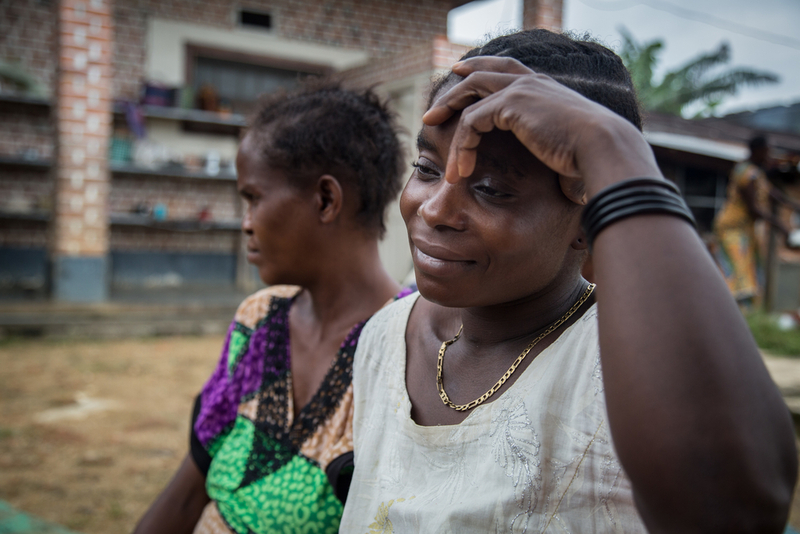 With a population of close to 6 million people across South Kivu, this means many thousands of people are vulnerable to disease and illness but have almost no recourse to treatment. It is not only women and children who suffer as a result of the poor infrastructure in the region. Many men caught up in the sporadic conflict that takes place in South Kivu require treatment for wounds sustained during clashes. These clashes also provoke displacement among the population, so that journeys to access healthcare become even longer, or leave people with no knowledge of where to seek treatment. Moreover, diseases like malaria and cholera are endemic in the region, and can kill if left untreated. All of these factors combine to form a perfect storm for patients, who are exposed to high levels of risk from multiple sources and with few possibilities of accessing quick treatment. An MSF motorbike driver is stuck in the ankle-deep mud while carrying the provisions for the hospital in Numbi. MSF continues to treat all patients who arrive at our health centers, while referring urgent cases to larger urban areas, taking on the transport costs. But without improvement in the most basic infrastructure, without paved roads and links to remote communities, vulnerable patients will be forced to continue making long and hazardous journeys to access healthcare. MSF has been working in South Kivu since 2007 to provide healthcare in the area, and its emergency teams are ready to respond throughout the province in the event of an epidemic, natural disaster or conflict.